Fast Bikes Trackday – BOOK NOW! Fast Bikes is holding a trackday at Anglesey on the 12th September 2010, and you can join us for just £130! It’ll be a bit of sneaky practice for us for the No Budget Cup race later that day, and a chance to wazz our mega longterm fleet around track. Five twenty-minute sessions around the most scenic track in the UK will set you back £130 and we’d love to see you there to say hello, and thanks for all your support. Book now at No Budget Cup to guarantee your place. In the spirit of the event, we’ve got ourselves a far from mint Kawasaki ZXR750. It’s from 1990, so qualifies as being one of the earliest bikes eligible for the No Budget Cup. We’ve done the easy bit, and stripped all the crap and broken bits off, ready to rebuild it into some semblance of glory. It’s a tough job, and we can see why so many of you were going to struggle to make it to the first round, but we’re determined to get to Anglesey come hell or high water. To be honest, the rebuilding is going to be all part of the experience, so watch this space for our progress. The trials for our third member start soon. If you want to see grass roots racing back in Britain, this is your chance. Join us in the UK’s first ever No Budget CUP on Sept 12th. Subscribe for the race and track day at No Budget Cup. 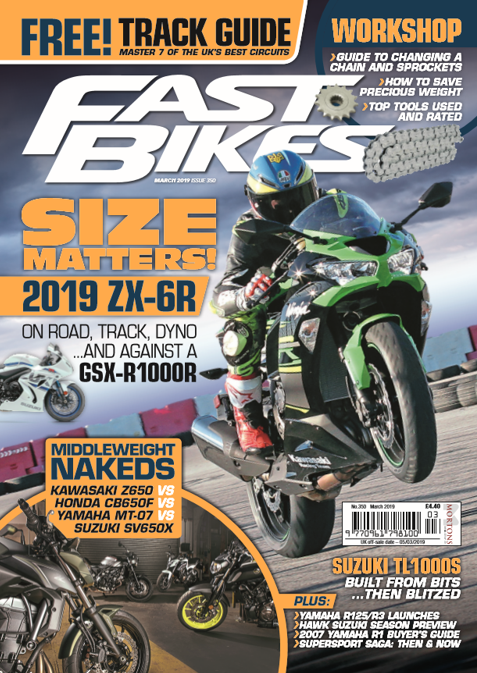 Next Post:2010 Sportsbike Of The Year Issue – OUT NOW!